Written by Joshua I. Newman, Hanhan Xue and Haozhou Pu. According to the Associated Press at the start of 2017 China had 13,381 “special football schools”—training academies that are typically attached to public primary and middle schools and exist with the expressed purpose of increasing the nation’s footballing talent pool. The government has also promised that by 2020 the nation will maintain over 100,000 publically-accessible football playing pitches, or roughly one per every 10,000 citizens. Many Chinese Super League (CSL) teams now spend in excess of US$25 million to lure to international players away from top European clubs, with Shanghai SIPG spending in excess of US$10 million per international player in 2017. According to Xinhua News Agency, revenues for the CSL grew from US$17.53 million in 2012 to US$223 million in 2016—with net profits increasing from US$9.5 million to US$80 million over the same period. According to a report by Bloomberg, Chinese investors have spent over $2 billion on investing European Football from 2015 to the end of 2016. Some of the high-profile investments including the acquisition of a majority stake in Italian club Inter Milan by Suning Holdings Group (who also owns the CSL team Jiangsu Suning F.C. and EPL broadcasting right holder (2019-2012) – PPTV) for $307 million; the $821million acquisition deal of another Italian football club AC Milan by Sino-Europe Sports; and the purchase of minority stake of the EPL team Manchester City for a deal worth $400 million. At the national team level, following the success of the 2002 national team—who under the direction Serbian Bora Milutinovic qualified for that year’s World Cup—the Chinese Football Association (CFA) has frequently employed top international coaches to steward the national team (Arie Haan 2002-2004, Vladimir Petrovic 2007-2008, Jose Antonio Camacho 2011-2013, Alain Perrin 2014-2016, Marcello Lippi 2016-present). The current manager, Marcello Lippi—who led Italy to the World Cup championship in 2006—was enlisted at a salary of approximately US$25 million per year. In the CSL, sponsors and team owners subsidize high salaries for foreign managers—totaling over US$80 million for the 16 teams in 2016. On the surface, these various shifts in capital allocation would suggest that the CFA—in conjunction with the Chinese Communist Party (CCP) and the CSL—is reformulating the world’s oldest footballing nation in the image of its European counterparts: significant capital investments in labor, major marketing and global branding initiatives, expanded media rights and ticket revenues, international partnerships, and the creation of a vast network of in- and out-flowing capital from which the sport can be further opened up (kai fang) to, and marketised by, the global political economy. Thus, it might be enough to say that these transformations are illustrative of what many commentators have suggested is a shift away from traditional socialist orthodoxies in favor of a more market-oriented, some might say ‘post-socialist,’ approach to football provision and commercialisation. Unlike the more commonly used phrase “socialism with Chinese characteristics”—which is often favorably evoked by the CCP to refer to the uniquely hybridized form of Marxist socialism that evolved most significantly following the founding of the CCP in 1921 and then gained traction after the Second Chinese Civil War (c. 1945-1949) and through the Cultural Revolution of Chairman Mao (c. 1966-1976)—“post-socialism” is often used by historians and social critics seeking to demarcate a period where Marxist principles were widely abandoned in favor of increased privatisation, decentralization, globalisation, and pro-capitalist Dengist reforms. In the years that followed this 2015 edict, the business of football has burgeoned. Once insolvent CSL franchises are now valued at as much as US$282 million, with perennial table- and market-leader Guangzhou Evergrande Taobao annually bringing in over US$50 million in total revenues. Attendance at CSL matches increased by 50% from 2010 to 2016, and the league is now one of the top five most-attended leagues in the world. Regulating Football: A Back-pass to Mao? So as is often the case in the global political economy more generally—and particularly as exemplified in by the declarations on offer by the Xi Jinping administration during the recent 19th National Congress of the CCP—football in China seems to be cycling away from the opening-up, or kai fang, practices that have defined the sport’s ascent in recent years and toward an insular, regulatory, and centralised approach that has often defined the nation’s socialist polity and economic structure during the Mao era and beyond. This has included reigning in maverick football entrepreneurs, recapturing control of the sport’s administrative processes, and redeveloping the outcomes sought by football toward a stronger State and Party-building (as opposed to market or private) modality. 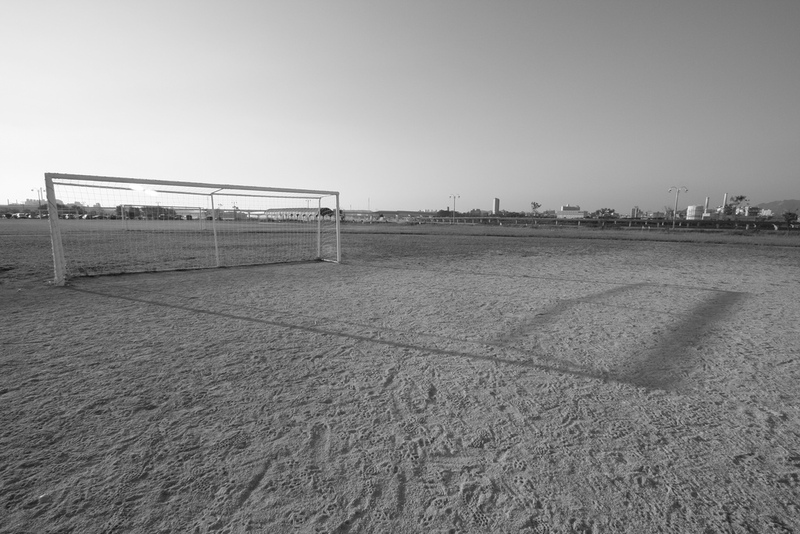 By refocusing State resources into public facilities, the development of State sport-actors, China-based programs, and growing the domestic labor pool and labor economy, the CCP and CFA have charted a new course—perhaps a post-market footballing order—from which the world’s largest and oldest footballing nation might galvanise its wealth of human capital towards greater participation and thus improved public health, a stronger position within the realm of sporting geopolitics, and improved results on the pitch at the World Cup. Joshua I. Newman is a Professor of Media, Politics, and Cultural Studies in the Department of Sport Management at Florida State University and a fellow at the China Soccer Observatory. Hanhan Xue is an Assistant Professor of Sport Management at Florida State University. Haozhou Pu is an Assistant Professor of Sport Management at University of Dayton. Image Credit: CC by lets.book/Flickr.